Cpl. Carol J. McGregar, son of Maude McGregar, attended Boyd High School; husband of the former Jewel Dean Walker. 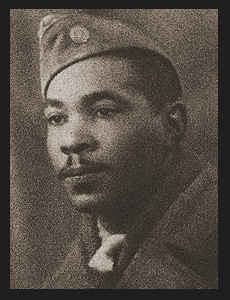 Entered the the Army in 1942, trained in Enid Okla.; served in Italy, where he was wounded in action. Awarded the Purple Heart, Good Conduct Medal, ETO Ribbon with two Battle Stars.